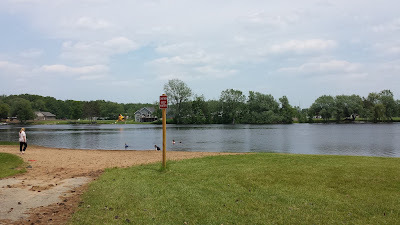 I continued my drive north through Wisconsin with the goal of spending a few days at Badger Park in the small town of Peshtigo. 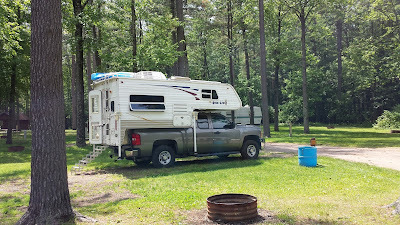 Freecampsites.net had indicated a very nicely maintained park for under $15 / night so I was looking forward to some moderately priced camping with hookups. 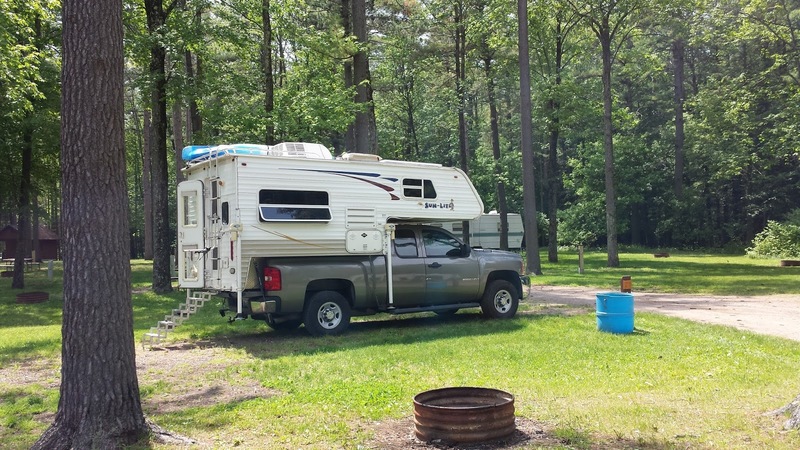 Upon arrival at the park check-in I was a little disappointed to find the town had increased the nightly rate to $20 / night effective this camping season. I changed my plans and decided to just stay overnight as I really try to stay away from rates above $15...Econ 101, increase the cost of something and people use less of it...oh well. 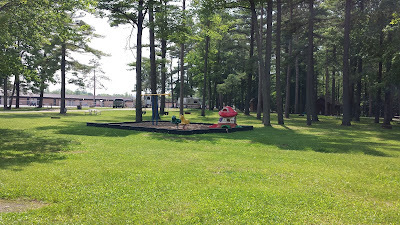 Curiously, one of the reviews of Badger Park I had read was a camper complaining that the park had no shade, I have no idea what park he confused with Badger Park but as you can see the park has an abundance of tall shade trees. 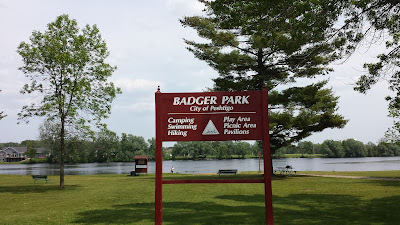 Badger Park is a very large facility for just a town park. 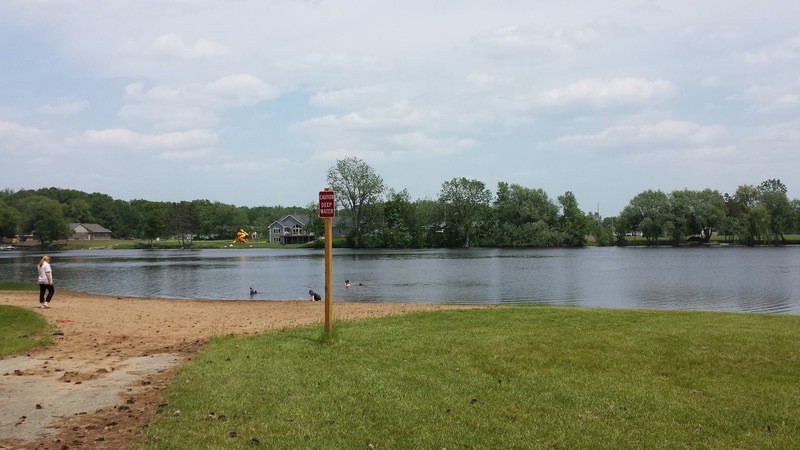 It straddles both sides of a main route into Peshtigo with the campsites on one side of the road and a more conventional park with beachfront access on the other side. The Badger Park beachfront complete with little swimmers. 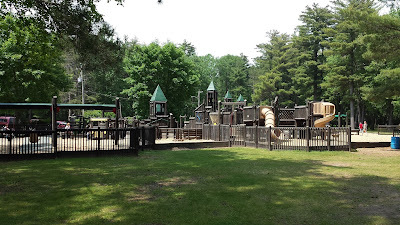 If nothing else Badger Park is the most family friendly town park I've stayed at. There were several small play areas with playground equipment but the real kiddie attraction was one of the most impressive climbing/playing/running around in constructions I've seen. No, this is the small play area right by the campsites. 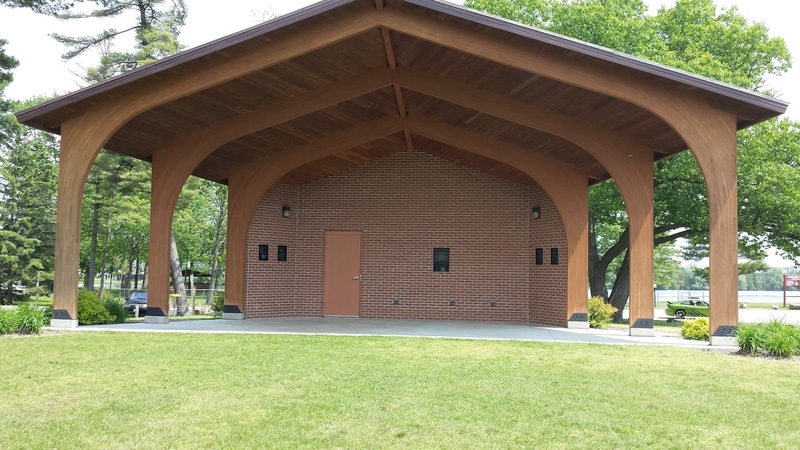 I stayed at the park on a Wednesday and the ranger who checked me in let me know that there was a country concert that evening at the park's band shell. The music was very listenable and could be clearly heard throughout the park. The show lasted from about 6 to 8pm and most of the town seemed to show up on the lawn in front of the shell. The band shell and lawn where the concert took place. Badger Park is a great camping spot for families with kids. Between the beach and all the play areas there is a ton of stuff to keep the little guys occupied. Try to get there on a Wednesday and you'll get a free concert too!